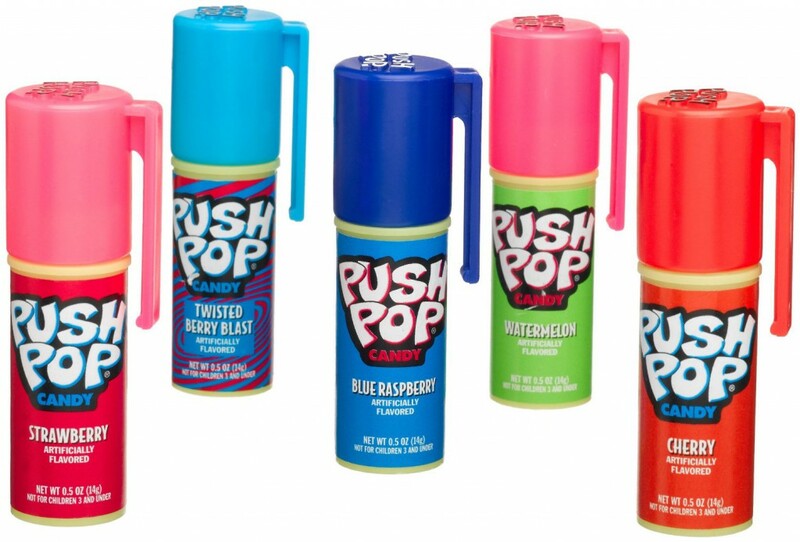 As novelty candies go, Push Pops were some of the best. Invented in 1986, they let you get a hit of sugary goodness in a flash, wherever you were. As we know, the 80s and 90s were heady times. Candies were elevated from simply being a humble sweet treat to being required to have some kind of entertainment value – and Push Pops didn’t disappoint. The spring on the portable casing allowed you to ‘push your pop’, enjoy the lolly, and then slide it back into the casing to save for later using the handy slider on the side. Because only an animal eats a full Push Pop in one go. I’m still sceptical as to whether the classic “Don’t push me, push a Push Pop” line ever managed to deter any playground bullies but the ads were just so convincing – I too could be as cool as those denim-clad, cap-wearing kids if only I had a Push Pop! Still going strong after all these years, Push Pops have upped their game in recent years with a ‘Mystery Flavour’ and Jumbo versions of our favourite treat. Did you know that Topps, the makers of Push Pops are also manufacturers of the much-loved Ring Pop? Now, how does 8-year-old me get a job with them?